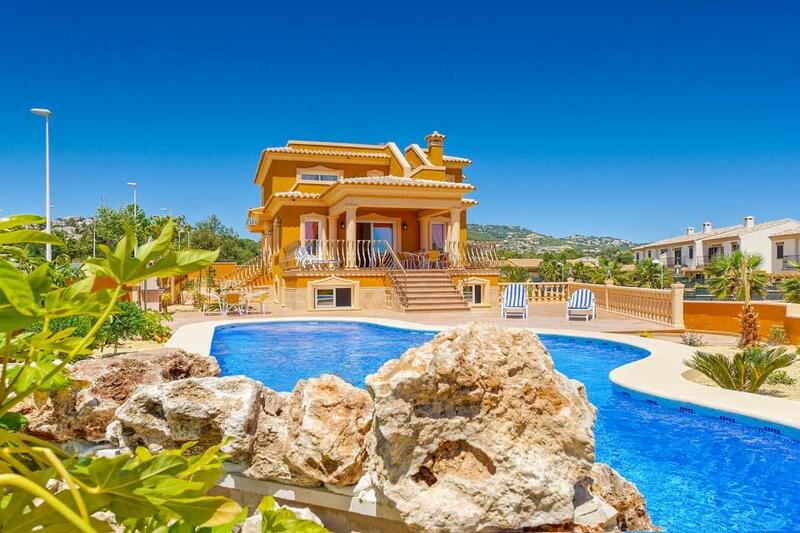 This villa is so spacious it’s like having your own private resort! 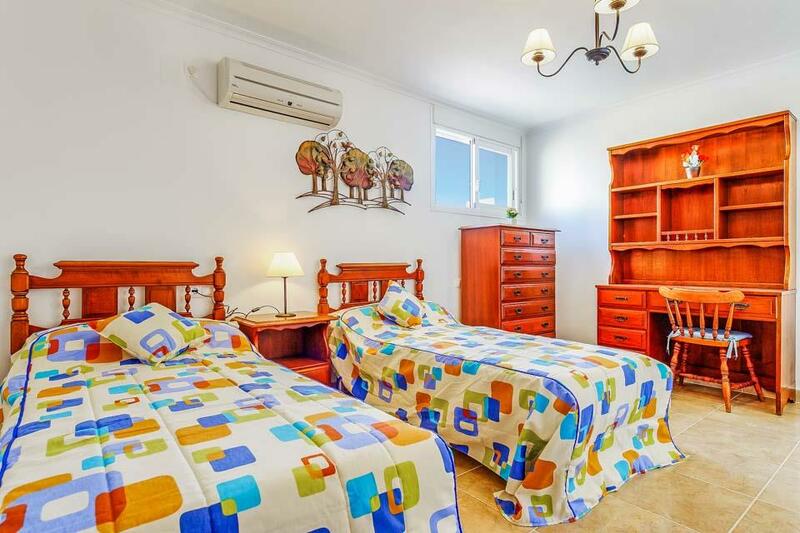 With ten bedrooms in total, Villa Buenavista is capable of housing up to twenty-one people. 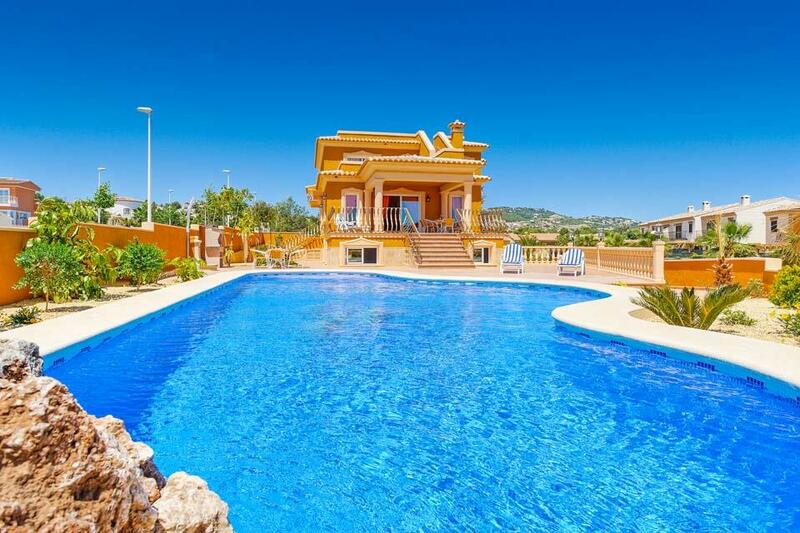 This villa is so spacious it’s like having your own private resort! 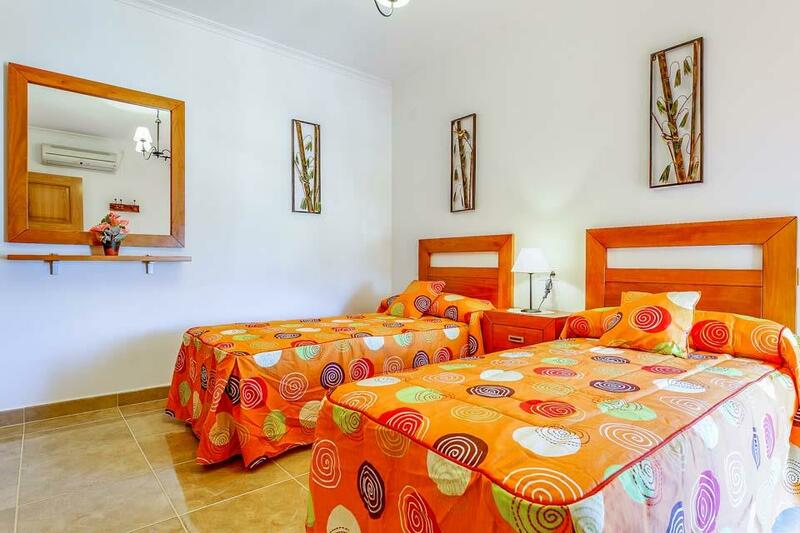 With ten bedrooms in total, Villa Buenavista is capable of housing up to twenty-one people. Why not take the entire family away on holiday! The freeform swimming pool is huge, so you’ll feel like your swimming in a lagoon. 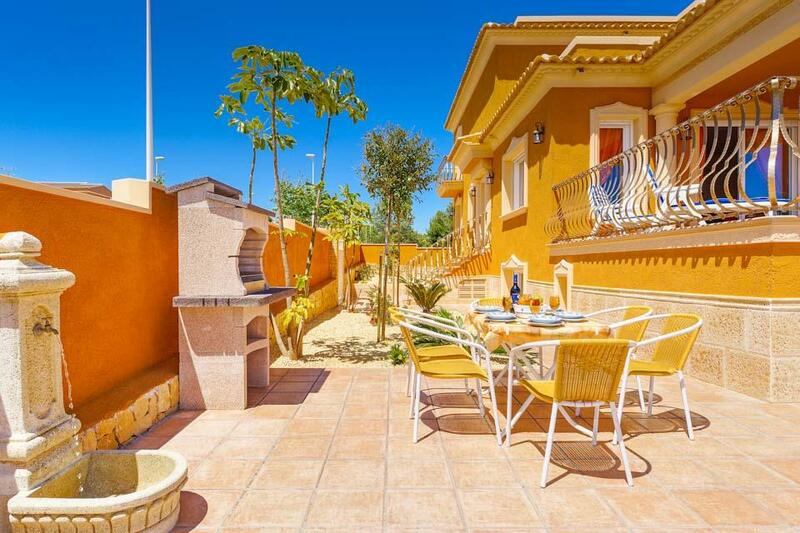 A BBQ and al fresco dining area are tucked away at the side of the villa. Serve up an extra-large platter of paella for all to share. Another outdoor dining area sits on the patio outside the villa. 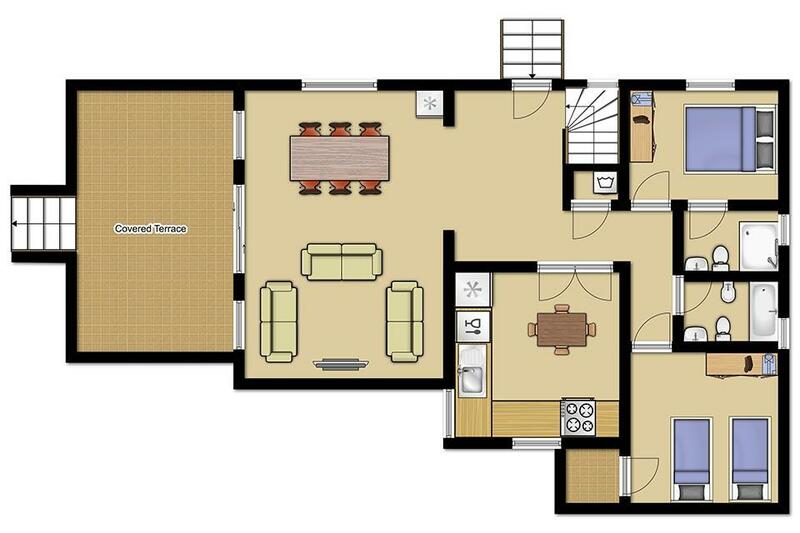 Inside you’ll find plenty of living space with sofas and dining tables. 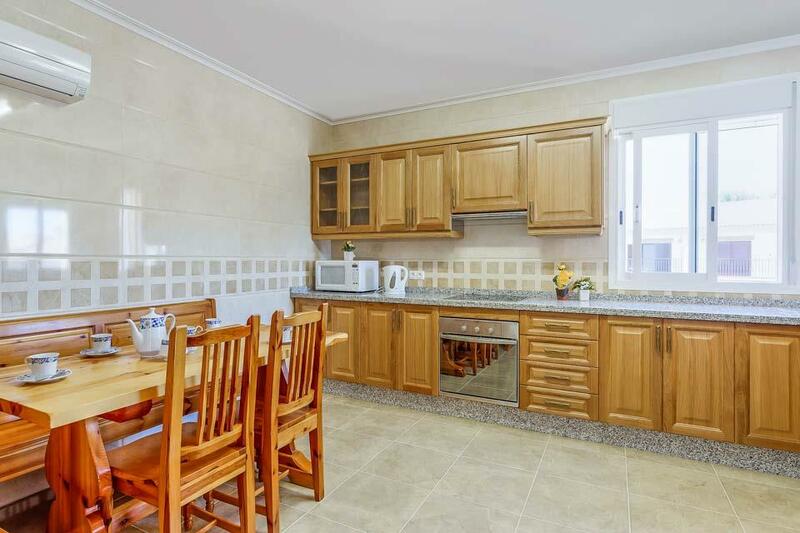 The kitchen has everything you need to prepare those big, buffet style feasts for the family. 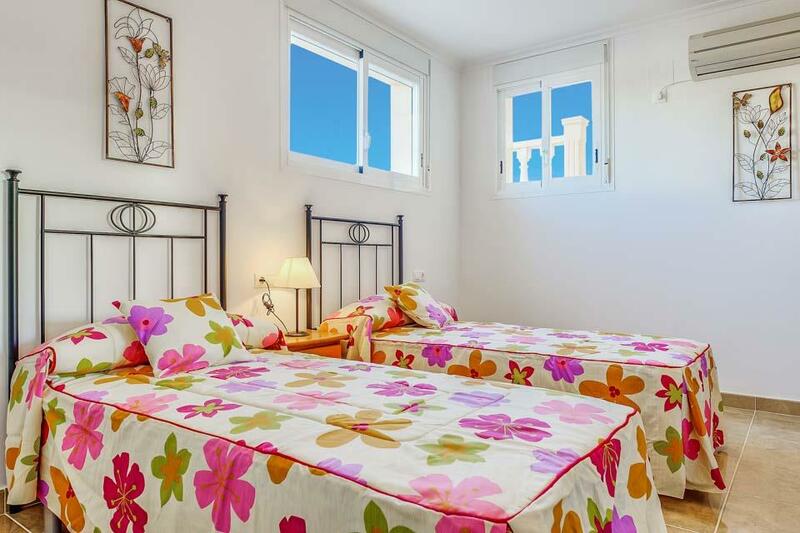 All bedrooms are light and airy, with brightly coloured bed linen. 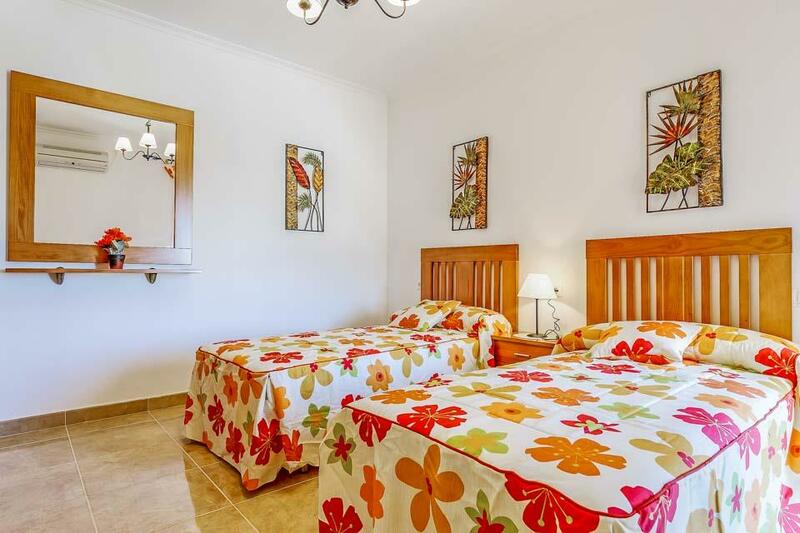 Throughout the property there are eight bathrooms too. 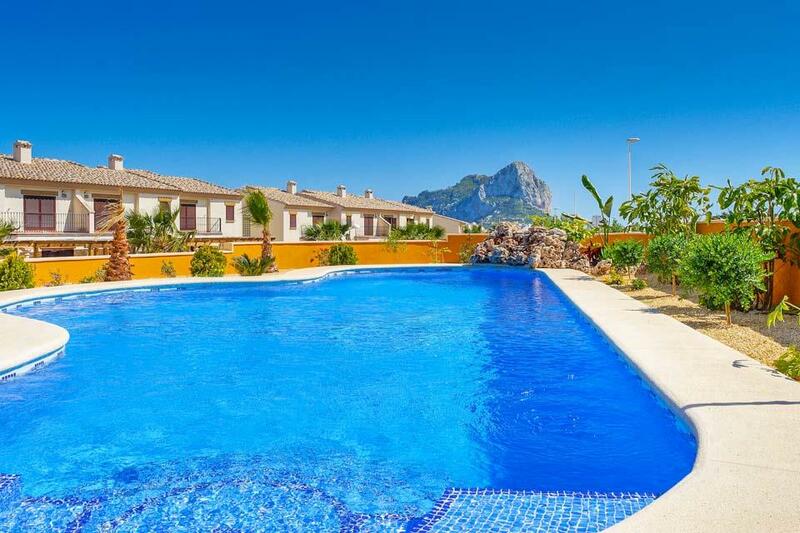 Villa Buenavista is situated in an upmarket residential area called Costeres, close to Calpe’s sandy beaches and bars. It takes around twenty minutes on foot to reach the centre but there are also local restaurants within five minutes’ walk of the villa. 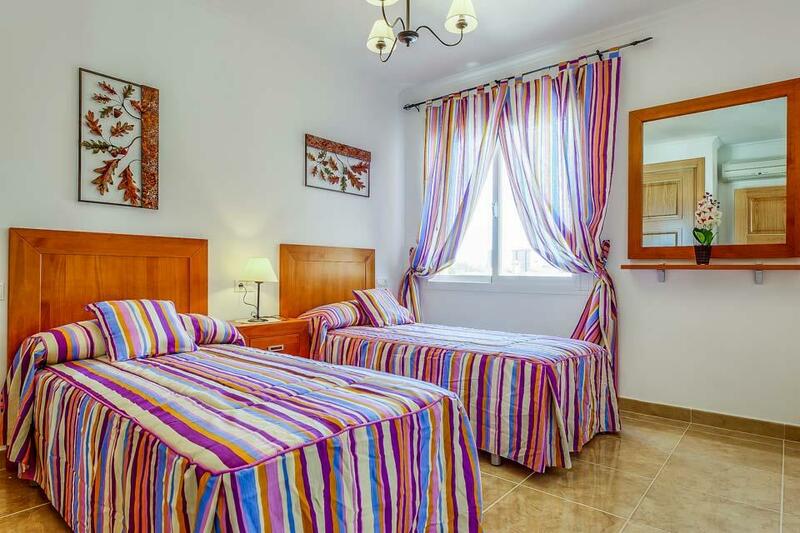 For those who wish to explore further afield, the pretty coastal town of Moraira can be reached via a scenic drive with the sea by your side, Jalon Valley’s sprawling vineyards are just ten minutes inland by car. 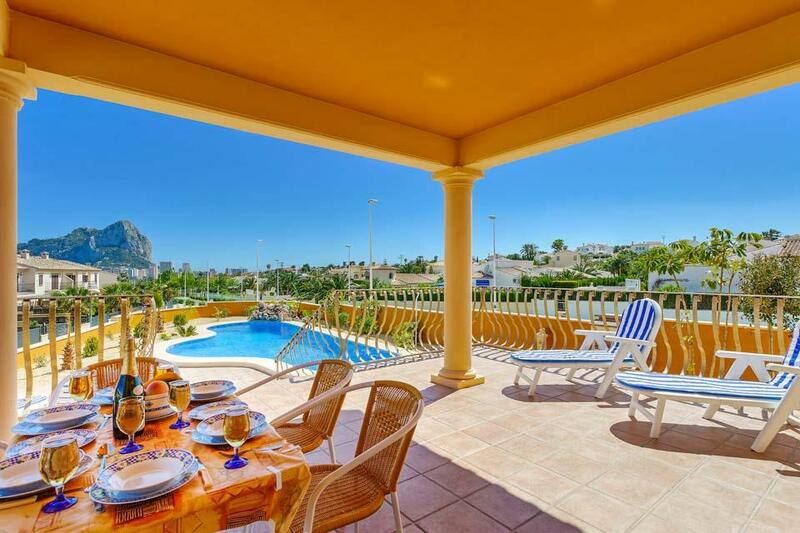 Mobility information: The lower ground floor is a self-contained apartment which offers easy access for wheelchairs from the road and a ramp up to the pool and sun terrace area. There is one step from the road to the garden gate. 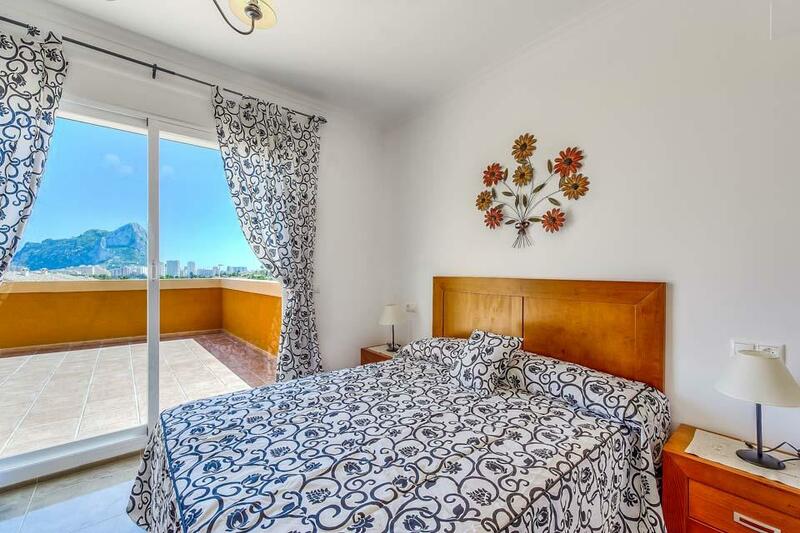 The lower ground floor is a self-contained apartment which offers easy access for wheelchairs from the road and a ramp up to the pool and sun terrace area. There is one step from the road to the garden gate. The front door (78cm wide) for this (lower ground) floor has a small step over the door frame to enter. On this floor you will find an open plan kitchen, lounge and dining area through an arch (79cm wide) and one triple bedroom (door 80cm wide) with en-suite shower room (door 80cm wide) the three further bedrooms on the lower ground floor (all doors 70cm wide) can be reached via an arch (79cm wide). 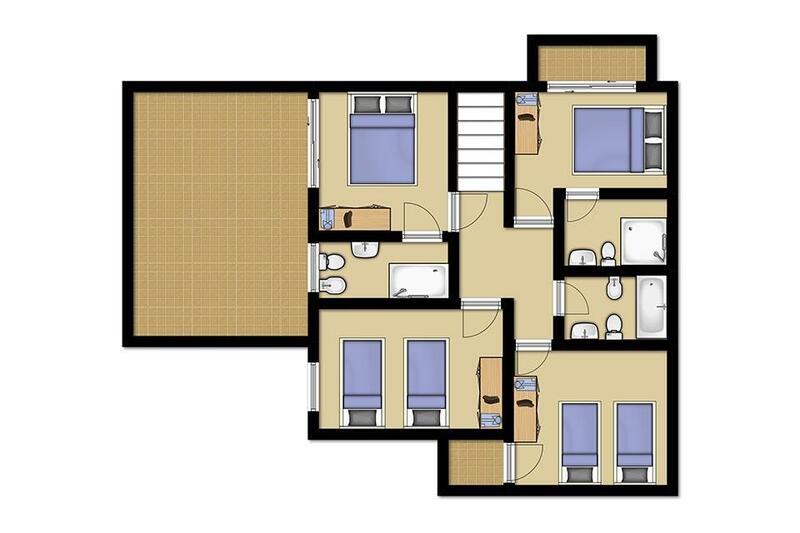 The double room also has an en-suite shower room (door 70cm wide) with a small step over the shower frame rim to enter. There is a large sliding gate for cars to enter the drive of this villa via a side road and from here you can access all around the terrace area (main floor). On the main road side is the upper level front door, with a gate (107cm wide) with 1 step down then 9 steps up to the front door (78cm wide) On the main floor you have open lounge diner with patio doors (88cm wide) which open out to the terrace, from here there are 8 steps down to the pool. There are also two bedrooms through an arch (87cm wide). 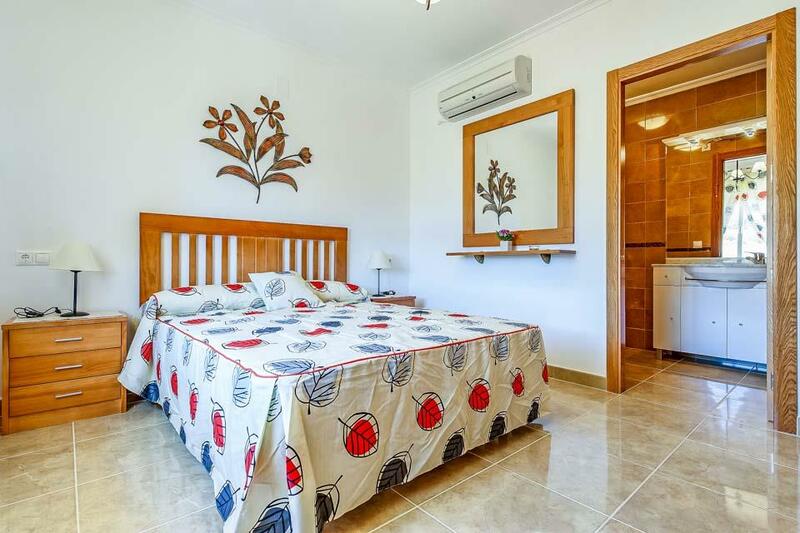 The double bedroom (door 70cm wide) has an en-suite shower room (door 70cm wide) the shower has sliding doors with a small step over the frame to enter. 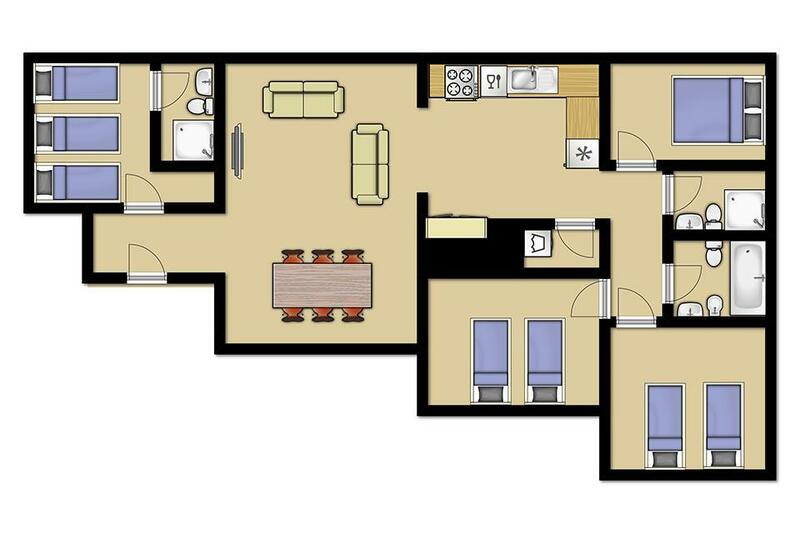 There is a twin bedroom (door 70cm wide) on the main floor and another separate bathroom (door 70cm wide) with bath and overhead shower. 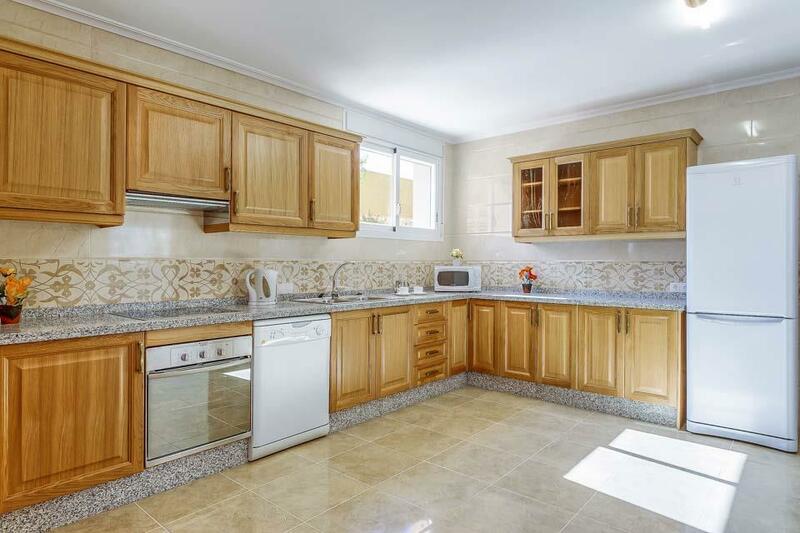 There is also a kitchen on this floor with large double doors to access. 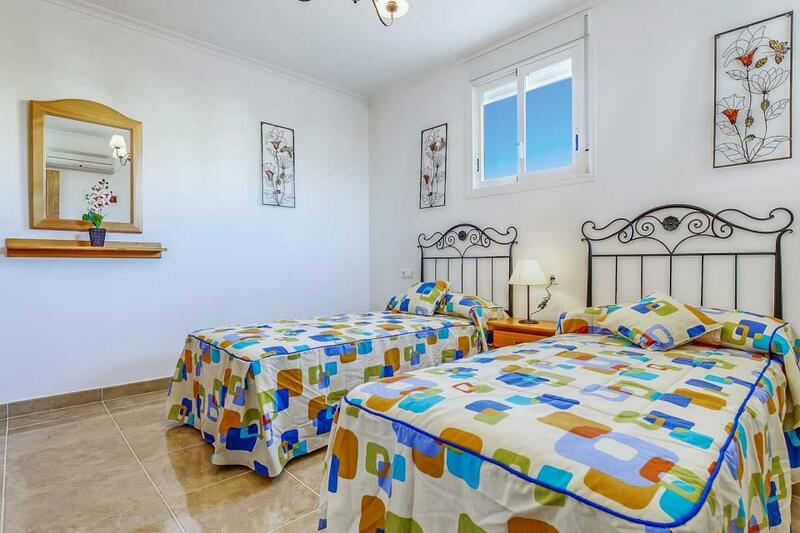 Bedrooms 6, 7, 8, 9 and 10 along with separate bathroom are located on the first (top) floor of this villa. We hope this statement provides enough information for you to make an informed decision on suitability for you and/or any party members with reduced mobility. Please don’t hesitate to contact us and speak to our helpful Travel Consultants if you require any further information. This villa was even better than what was showed in the pictures. My friends and I had a very good time there. Loved the location, close to restaurants, shops and beach. The villa is a fantastic size for large groups the basement rooms could do with a bit of maintenance however overall we were all very impressed. Rated: Excellent. The villa is a fantastic size for large groups the basement rooms could do with a bit of maintenance however overall we were all very impressed. The walk to the beach and restaurants is fine for adults but I would suggest a car if you have little ones as ours would not cope with the walk in the heat. The villa was rented for a group of people with varied learning abilities the villa suited all their requirements and more, the pictures don't do it any justice, the swimming pool was well used, this villa is in a residential area. 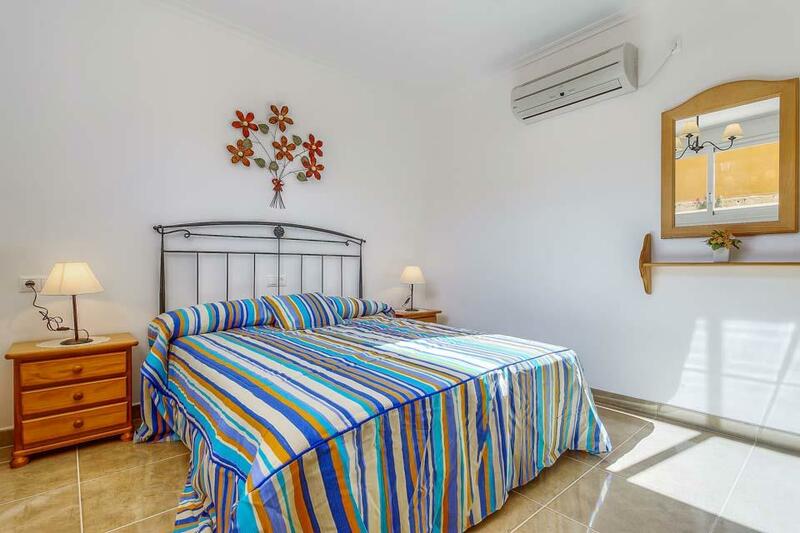 Very well appointed villa, plenty of space and air conditioning is a bonus.Has everything you would need for a holiday with a larger group such as ours (19 people). Kitckens are well equipped and the built in BBQ got used numerous times during our stay. The pool is a little deep once you are off the roman steps so may be a concern for familes with children who are not strong swimmers. Solmar arranged our transfer from Alicante and took just over an hour. 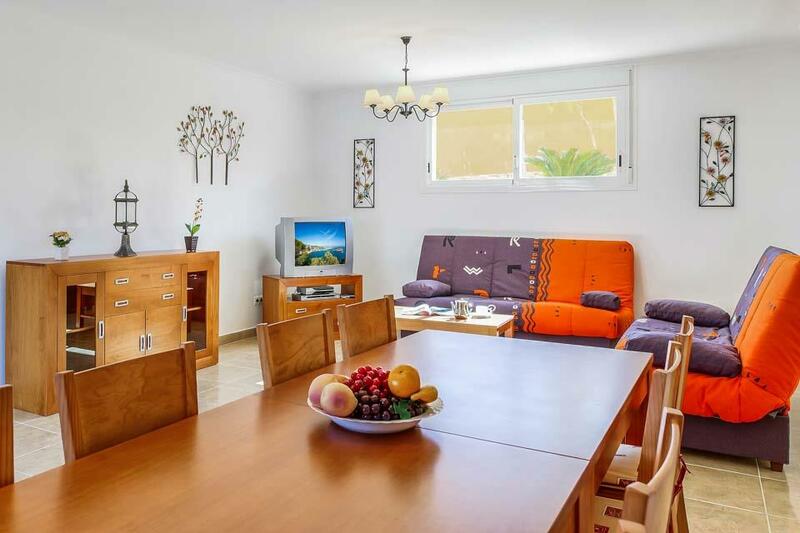 The villa is situated a 15 minute downhill walk (uphill on the way back but not too bad) from 2 very good supermarkets and 20 minutes from the beach at Playa Fossa, which also has plenty of places to eat if you don't to cook. The supermarkets offer a wide choice and found the 'green' Mercadona one slightly cheaper than the orange 'Consum'. The weather in early August was very warm and very sunny, the shaded terrace can get a bit breezy at times but this was welcome relief for some of the more mature memebers of our group. 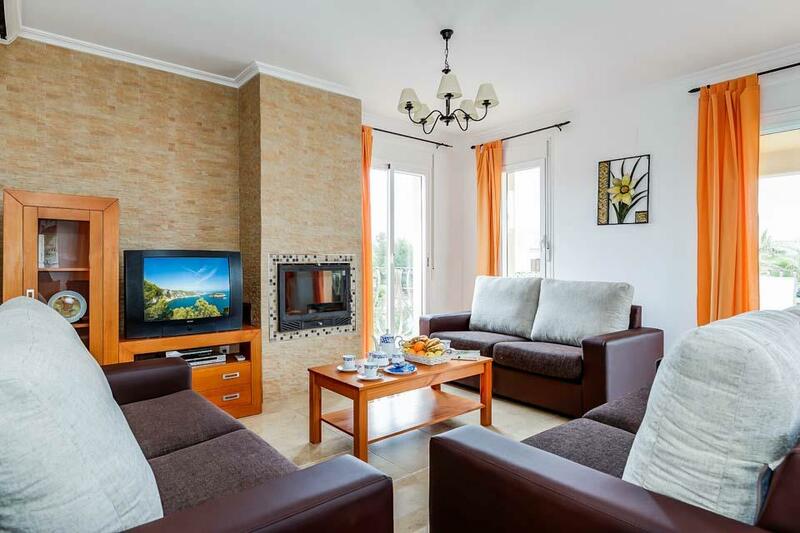 Overall an excellent villa in a very good location for a relaxing family / group holiday, wouldn't hesitate to recommend this villa and Solmar. 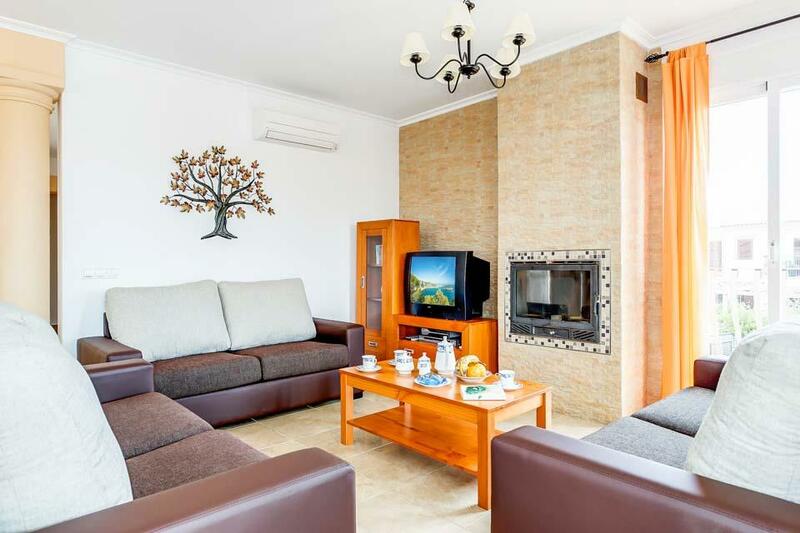 Rated Good - A very nice villa well placed for all amenities, can walk to supermarkets, the beach and town. 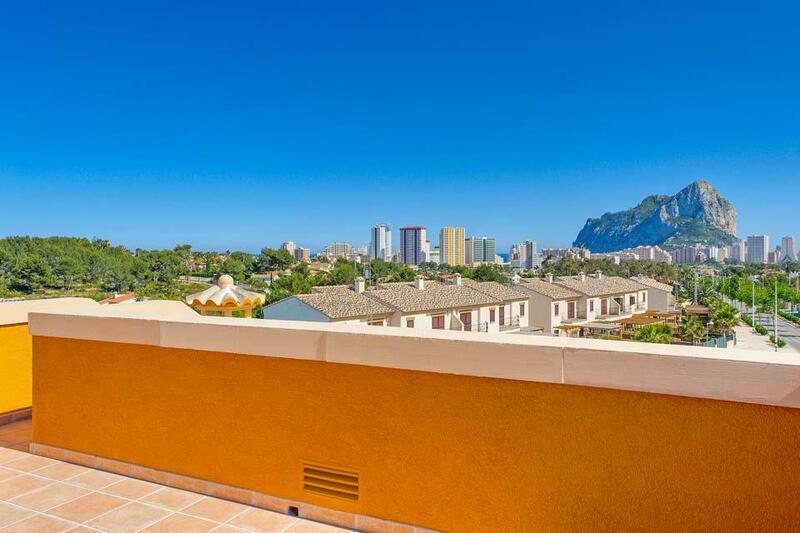 Fantastic views from villa. 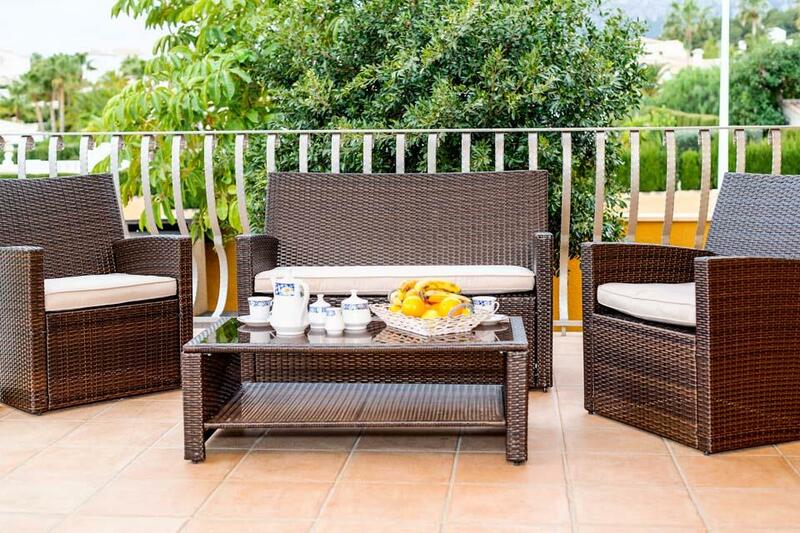 Rated Excellent - The villa exceeded our expectations. I would definitely recommend the villa for its facilities and location. We thought the accommodation was of exceptionally high standard and we all really enjoyed our stay. We can recommend a half day outing to climb the rock and a trip to Valencia was an hour and half by car and worth it - lots to see there. 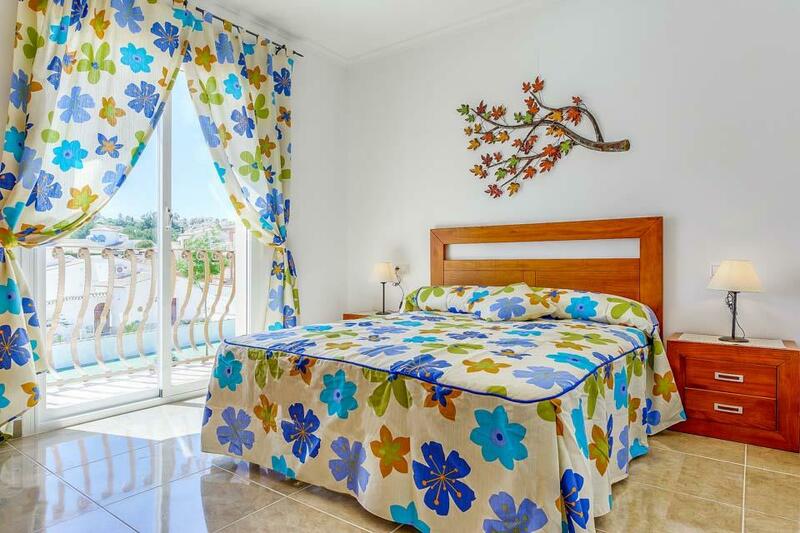 I would certainly consider using Solmar Villas again. Our experience of villa buena vista was excellent. The villa was very clean and tidy and ready for our arrival. Every person in our party said what a great place it was and that they would definately recommend it to other people.We found the supermarkets were very close by for grocery shopping that we required. Everthing was spot on! 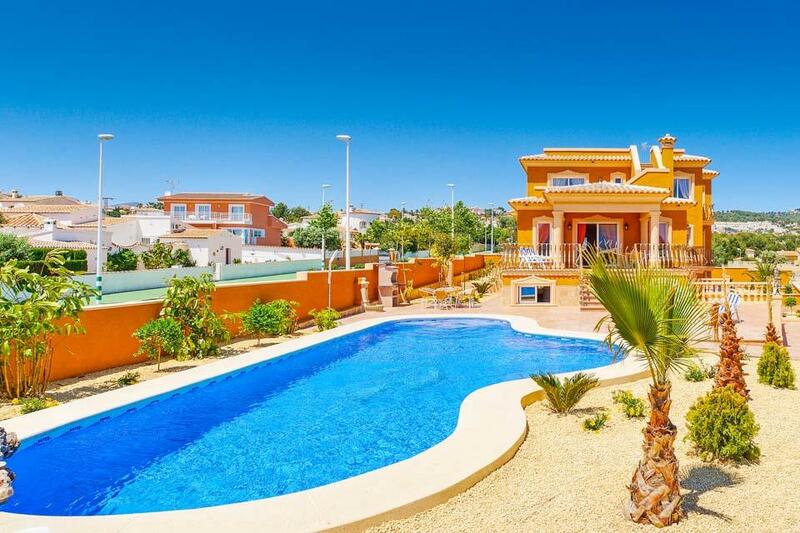 Villa Buenavista was 100% fantastic, pool was spot on, nice location, town and beaches were nice, i would recommend this villa to all my family & friends.